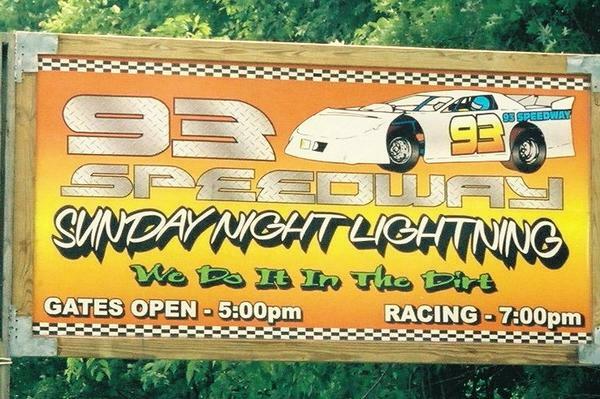 The track formerly known as 93 speedway is being leased out for next year and i told the guy leasing it i would spread the word to all the old drivers, the guy is planning on running 2 4 cyl classes and a pure street class and a super street class. i believe. He was talkin bout some special races and some guaranteed money races, he is talking about having a big drivers meeting in october to talk to some interested drivers and get some rules made up so if u guys are interested he is trying to find a convenient date for everyone and he is trying to do it before all the swap meets. His name is bill king and his number is 304-988-0396 or 304-932-6832. he has already got a dozer here working on the turns and the motocross is gone now,and is working out a radio contract. He plans on making the front stretch an even banked all the way down it where the dirt piled up over the years and made it a little humped up in the middle. he has a lot of good ideas, i figured id let u guys know in case you was interested and maybe to spread the word to the other 4 cyl drivers you guys know, or pure street( pure stock) or super street( hobby stock) people you may know. the people leasing the track has changed the name to oak hill motor speedway and will have a facebook page for it soon. and a website is in the works. I told him i would put his info out there and help spread the word and keep some people updated when he releases his rules or on updates with how the track is doing, other than that he is doing this all by himself with no help from the previous owners. any questions or comments you call him or post here and ill get the answer from him for you.